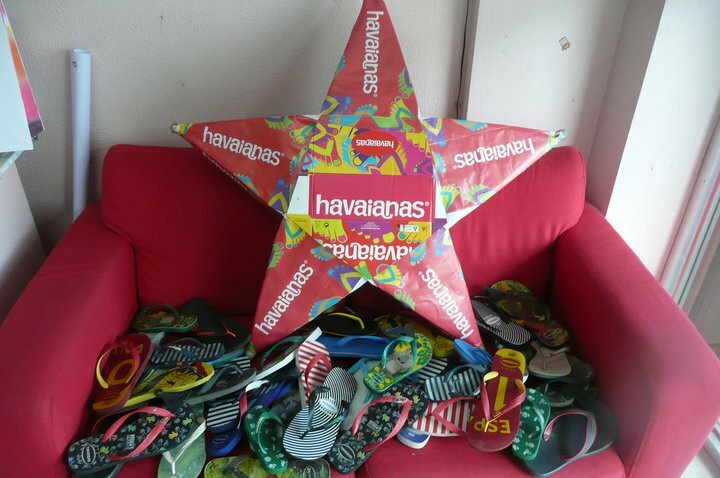 How does a Havaianista decorate during the holidays? Look at what a hard-core eco-friendly Havaianista did with her hav boxes? How creative!!! Love it! And what a Havaianas collection! Friday, November 19th, 2010, by Sassy and is filed under "christmas ". You can leave a response here, or send a Trackback from your own site.